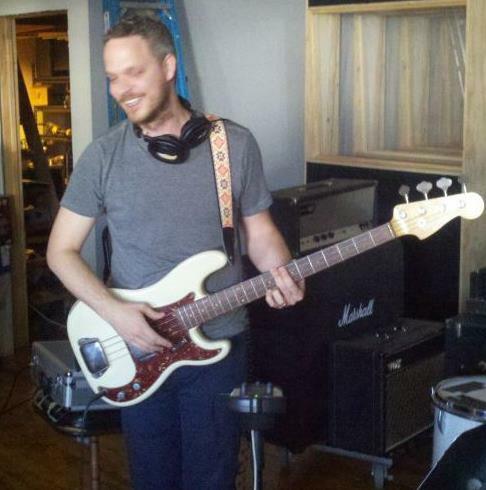 This is my portfolio site where I share my freelance web and music related work. When not making things for the web or working on various music projects, I enjoy spending time with family, cooking, traveling, and watching the occasional Next Gen episode. If you'd like to follow me on Twitter, my handle is @kloptikus. I am currently looking for new web development work. If you have any questions, please don't hesitate to contact me! 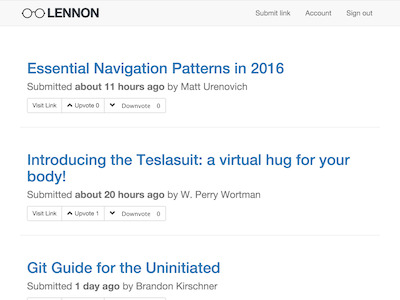 Lennon.io is a simple link showcasing app that I made with Rails 4 and the devise gem. Users can sign up, submit a link, as well as comment and vote up or down on link submissions. Go ahead, submit a link. Vote. You know you want to. 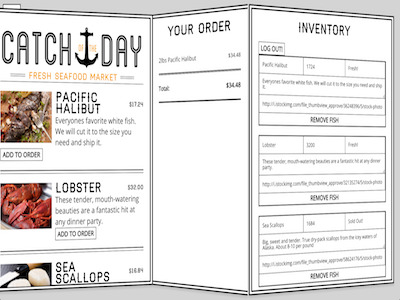 An example of a Seafood ordering/inventory application built with React and Firebase, this app leverages two-way data binding, oAuth, React animations, and HTML5 localStorage. Based on an excellent tutorial by Wes Bos. 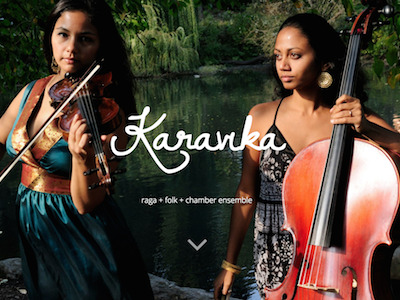 I made this site for my wife Amali's pet project which I play double bass in. Built with the Ghost blogging platform(Node and Ember), it uses a custom theme. 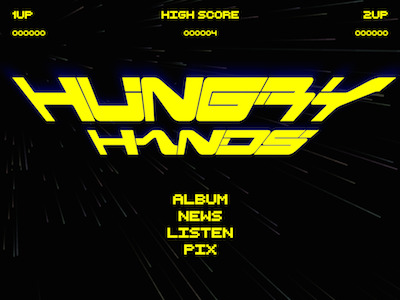 A tip of the hat to classic 80's arcade games, hungryhands.com is a simple site built for a band I play electric bass in. We needed a landing page to direct people to our music after one of our songs was placed in a PS4 game.